So you’ve started with vue and you’ve fallen in love with it? You find yourself doing more and more sideprojects with Vue.js and now you would like to convince your company to give it a shot for the next upcoming project? Chances are you don’t have a clue how to go about and you need some solid reasons to convince whoever is in charge for the next big project. You might have heard about it. Vue has probably one of the best documentations out there (https://vuejs.org/v2/guide)/. So going through the docs and trying to learn it is very intuitive with a shallow learning curve. This means the staff that needs to work with it has an easier job of getting into it. Plus it’s fun because there are a lots of live examples. Easier training means less costs for the company to get up and running with a new technology. 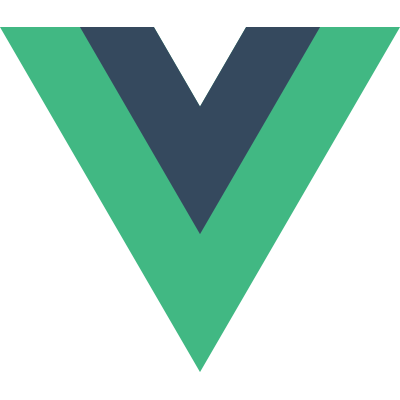 I found that after showing some Co-workers what vue is capable of that even older developers who stoped playing around with things in their free time told me about new small sideprojects they realized with Vue because it is so much fun. Rekindled some peoples passion — check! Vue is designed to enable your team to systematically convert small parts of your old application over to Vue so there is no need to rebuild the whole thing and you can just test it with small parts or the next upcoming feature. Changing technologies in any project is always a risk so having the option to test it on small parts is a great idea to get started and to be innovative. It does not matter if the next project is going to be a very small project or a complex single-page application. Vue offers a powerful solution for all of them. So any upcoming project can be realized with Vue.js. Essential changes on Vue are community driven and things like router, store and other things are not only developing each day but also they made it to the docs so that there is a clean and full documentation of them. No more looking through github for solutions for these kind of things. Because you can chose them to be in your application from the beginning with the Vue-cli. There are some points that people will constanly bring up against vue. One of the main things was that its developed by one guy. I’ve been talking to some of the core members of vue so I can assure you that this is not the case anymore. Vue nowadays is baked by an amzing community of developers and core members all around the globe. Another thing that might come up is that there is no possibilty to develop native apps and for this argument I can only suggest the person to have a look at https://vue-native.io/ for example. Also with the upcoming Vue 3 the runtime core will be platform agnostic which is going to make it even easier to use vue with Web, iOS or Android.